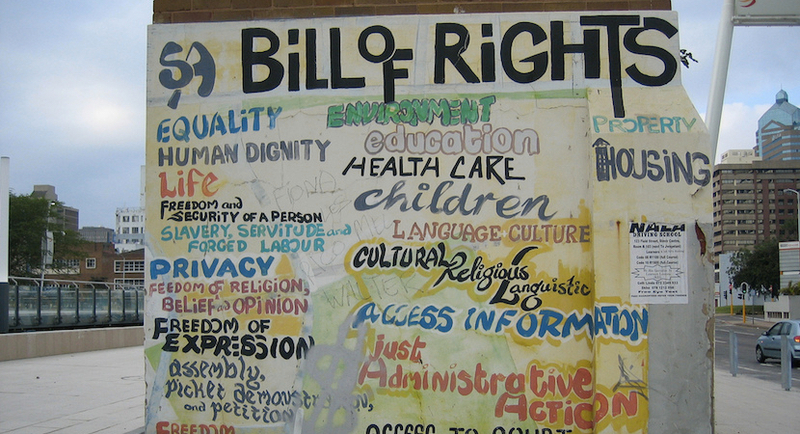 Is the SA Human Rights Commission just another political sop? It employs no less than eight commissioners whose salaries are paid for by you and me and has a work force of 215 similarly-remunerated people. … provide guidance in developing the vision of the institution by setting its priorities and ensuring that its policies, programmes and allocated resources are consistent with their vision. This is done through exercising good corporate governance and providing leadership and guidance on the professional work of the Commission. Commissioners hold fortnightly performance reporting meetings with the CEO to oversee the quarterly plenary reporting processes. President Jacob Zuma is the most powerful man in the country. He has, for years now, sought to increase the racial divide in this country through statements that demonise the white minority and promote ethnic hatred – the antithesis of the nation building through reconciliation approach of Nelson Mandela. Despite this, according to the recent survey published the Solidarity Research Institute, the HRC commissioners – Messrs Majola, Malatji, Ameermia, Gaum, Sibanyoni and Nissen and mesdames Jana and Makwetla have taken no meaningful steps against him – while relentlessly hounding Penny Sparrow and Matthew Theunissen – the ‘white nobodies’ as the Solidarity Research Institute justifiably calls them. Before that he blamed all of the country’s ills on Jan van Riebeeck. 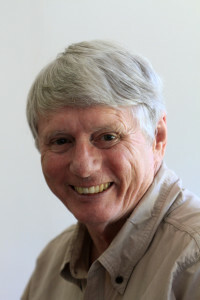 Most heinously of all, he invoked the cockroach metaphor of the Rwandan genocide when he labelled DA members as snakes. The subsequent headline in The Citizen asked an apt question: Snakes? What next, Zuma? Cockroaches? So what did Professor Bongani Christopher Majola; Devikarani Priscilla Sewpal Jana; Advocate Bokankatla Joseph Malatji; Adv Mohamed Shafie Ameermia; Advocate Andre Hurtley Gaum; Matlhodi Angelina (Angie) Makwetla; Advocate Jonas Ben Sibanyoni and Chris Nissen do in response and in keeping with their mandate and their brief to – promote respect for, observance of and protection of human rights for everyone without fear or favour. The lack of action in this regard by the above-mentioned commissioners would seem, in my subjective opinion, to be tantamount to a gross dereliction of duty and it would be interesting to know what they earn – courtesy of you and me – and whether the salaries they earn are the sole source of their income. 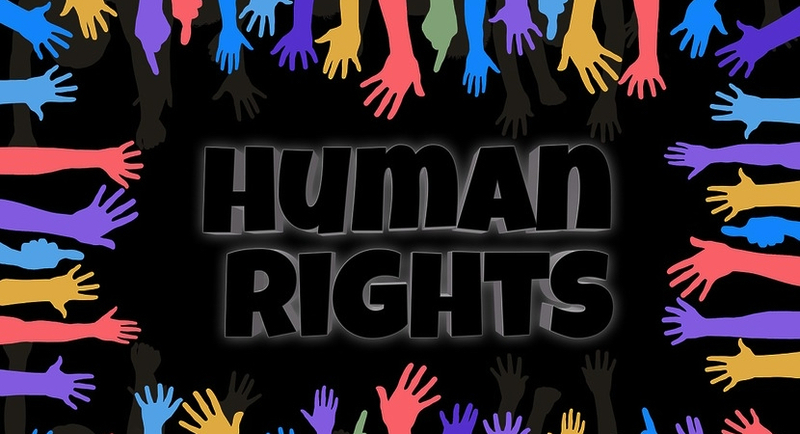 “Human Rights are our primary concern, as mandated by the Constitution. As such we have no obligation to engage in or legitimate Solidarity’s spurious discourses of ‘white lightweights and black heavyweights’. Furthermore, as the anchor quote by quote by Rebecca Davis illustrates, the SA Human Rights Commission feels that to describe our farm murders – characterised by a primitive, feral barbarism unprecedented anywhere in the world in the past century – as ‘farm killings’ is ‘stereotypical and divisive’. After former president Thabo Mbeki announced in 2003 that the commando farm patrol system would be abolished and then reneged on a promise to replace it with another system of equal efficacy, farm murders increased. In 2006 the SAPS, to avoid accountability, stopped giving statistics on farm murders – all part of the ANC’s ‘good story to tell’. Late last year the Transvaal Agricultural Union requested a meeting with the Police Minister and the Acting National Commissioner to discuss the continuing spate of extremely violent crimes on farms. It is still awaiting their response. Could Gail Smith and the SAHRC commissioners – whose salaries come from taxpayers like myself and members of the Solidarity Research Unit – please articulate how they would describe the above-mentioned atrocities if the term ‘farm killings’ is ‘stereotypical and divisive’. What would their description be, what words would they use and how would they describe the scale of such unimaginable brutality against the very people who put food on our tables? And, if they require a case study, they could use the murder in the Free State in December 2010 of Wilmien Potgieter (2) whose was shot in the back of the head at point blank range, her father Attie (40), who succumbed to 151 stab wounds, most inflicted with a pitch fork and her mother Wilna (36) who was shot in the throat. Their murders left behind a note in Sotho which said: ‘We have killed them. We are coming back’. What does ANC MP, Derek Hanekom, a farmer and former Deputy Minister of Agriculture, who has never expressed concern about the above-mentioned murders and relentless torture of the innocents on farms – from babes-in-arms to the handicapped elderly – but uses media platforms like Politicsweb to keep the Penny Sparrow antipathy on the boil, think of the findings by the Solidarity Research Institute? A fortnight after the report was published on Politicsweb, his silence, once again, deafens. Would you like to live in an authoritarian world where the complainant is subjected to the same punishment as the accused? Well…welcome to authoritarian world of the SA Human Rights Commission. There was one passage in the report by the Solidarity Research Unit which left me both appalled and frightened. 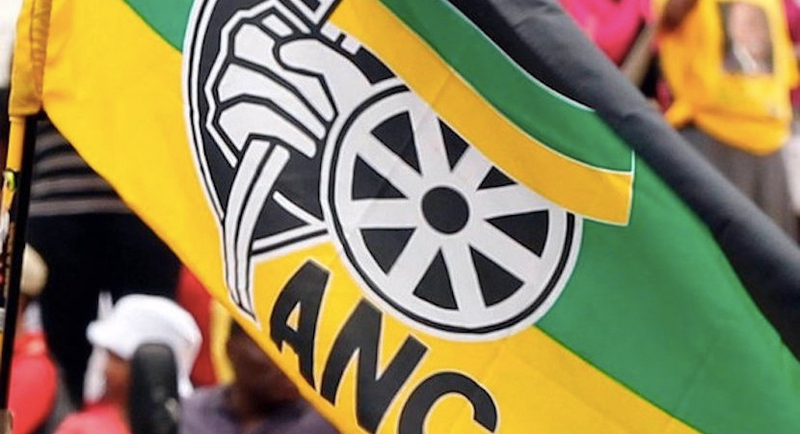 It related to a complaint to the HRC by a Western Cape resident, Elsie du Preez against Steve Naale, spokesperson for the Ngwathe local municipality in Parys. According to the report by the Solidarity Research Unit: The SAHRC found that Naale’s actions did not only discriminate against Du Preez, but against all South African whites and that his actions had impugned their dignity (Netwerk24, 21 September 2016). However, it ruled that it did not amount to hate speech. Naale was ordered to issue an apology to white South Africans, but it did not give any specifics as to the duration or nature of the apology. Two months after the ruling, his apology was posted on Ngwathe Online and then swiftly removed (Netwerk24, 3 October 2016). There is no indication that Naale’s employer took any punitive steps against him and he is currently still working as Ngwathe’s spokesperson. Can Gail Smith or any one of the four advocates who are SAHRC commissioners articulate the ethical and legal grounds on which this decision to mete out identical punishment to Elsie Du Preez the complainant and Steve Naale the fervent inciter of ethnic hatred, was based? On what legal and ethical basis was the decision based to sentence Molele to 10 hours community service and Theunissen to six months? Perhaps advocates Bokankatla Malatji, Mohamed Ameermia, Andre Gaum and Jonas Sibanyoni could respond to the first part of the question and leave the second to the imperious Gail Smith. 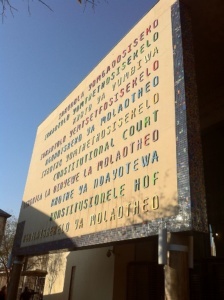 Can Gail Smith and the Commission chairperson, Professor Bongani Majola explain the disturbing difference in the punishments meted out to Molele and Theunissen? If this was not a decision based on law, not on common decency – ubuntu if you will – but on the very ethnic hatred the commission is supposed to oppose, then what was it? 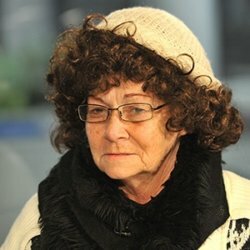 Another question: The life of Penny Sparrow, a middle-aged and previously unknown white woman with no previous convictions, has been comprehensively broken, in substantial measure by the vengeful actions of the SA Human Rights Commission. She is a fugitive who has fled her home after facing constant death threats and has had a punitive fine of R150 000 imposed by the Equality Court which will keep her indebted for life – despite the fact that she never advocated physical harm against anyone. Furthermore, the Scottburgh Magistrate’s Court convicted her of crimen injuria and fined her R5,000 or 12 months imprisonment. The ANC also wants Sparrow to pay the legal costs it incurred. Contrast this with the treatment experienced by our deputy minister of police, Bongani Mkongi, who has been promoted by the African National Congress to that position after and despite calling whites stupid on social media and advocating that they be burnt to death. The ANC refused point blank to discipline him and it was left to DA MP John Steenhuisen to report him to the SA Human Rights Commission fifteen months ago. Nothing further has been heard on this matter from the Commission which moved with such alacrity to so savagely punish Penny Sparrow. Perhaps Gail Smith can give us a progress (sic) report. The ANC has gone to great lengths to heap as much misery on Sparrow as possible while doing nothing of consequence to sanction Mkongi. Assuming Sparrow to be a working estate agent the Minister of Human Settlements, Lindiwe Sisulu, instructed the Estate Agency Affairs Board (EAAB) to investigate Sparrow and report on steps to be taken against her, if necessary. Clearly Sparrow will never be able to earn a living as an estate agent again. Is the difference not easy to explain? Sparrow is, after all, white, female and not a senior member of the ANC – no sign of patriarchy or political bias there, then? No hint of a race card there, then? No sign of the much-vaunted ubuntu or the Nelson Mandela ideal of nation building through reconciliation either. But perhaps I am being ‘disingenuous’ in asking such questions? Is this state-funded promotion of ethnic injustice by the SAHRC not race-merchanting on an industrial scale and does it not justify the question posed by Michael Cardo: Are ‘1652s’ the new Jews? The Solidarity report also raises disturbing questions about media anti-white bias which was recently manifest in the Huffghost sting. Let me provide another example. The Cape Times has become notorious for ratcheting up ethnic hatred of whites – the plagiarised foetal alcohol/dop system article and the Tiger Tiger Five article being just two examples. Let me provide a third. 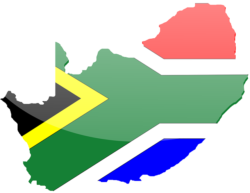 South Africa is a violent country – 50 murders a day on average. It is therefore not surprising that, every day in our dozens of courts throughout the country, dozens of people accused of assault GBH are released on bail of R1000. So what made just such a case so newsworthy that it became the front page lead in the Cape Times on 22 November last year? 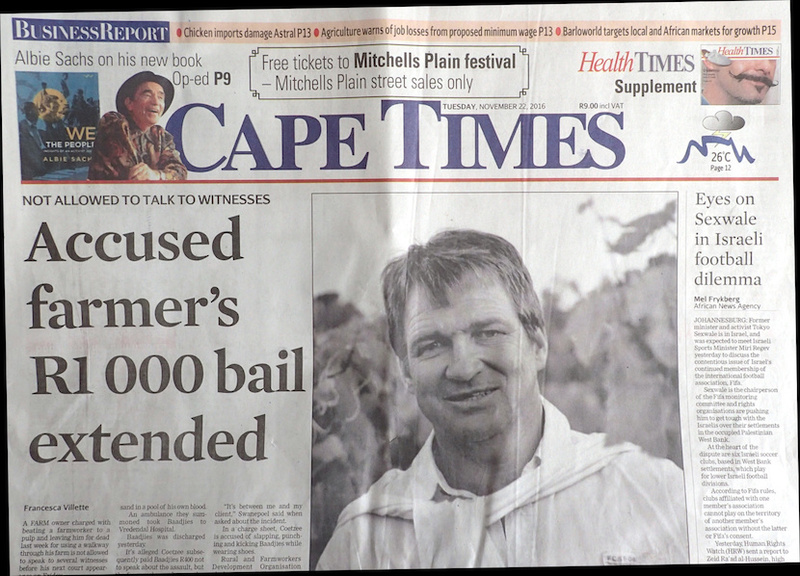 It is a valid question because if an accused being granted bail of R1000 for assault GBH is a justifiable theme for a front page lead, such articles would have dominated the front pages of our newspapers ever since Thomas Pringle and John Fairburn published the SA Commercial Advertiser in 1824. Is the simple explanation not that Johannes Coetzee isn’t just a white male farmer, he is an Afrikaans, white male farmer? Dr Iqbal Survé can do with his hire-purchase newspapers what he wants as long as he pays back, with interest, the billion rand plus which the PIC lent him to buy the Independent Newspapers company, a loan which falls due this time next year. The SA Human Rights Commission, funded by the taxpayer, enjoys no such privilege. If it does not respond to the questions raised by the Solidarity Research Institute, would it not be fair to regard the SAHRC as just another of the ANC’s sinecure-based and driven troughs?